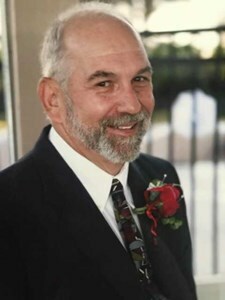 On Monday, November 5, 2018, Joel A Mannheim Sr, loving son, father, Papa, friend, and mentor passed away at the age of 73 in Altamonte Springs, FL. He is preceded in death by his mother, Irene Mannheim, and his brother, Father Alan Dash. He is survived by his father, Daniel Mannheim and his wife Rosie; his daughter Melissa and her partner Jenifer; his son Joel and his wife Michelle; his son David ; his two grandsons, Brendan and Jaxon; and his two cousins Gloria and Melvin Zucker. Joel was born on February 7, 1945 in Willimantic, Connecticut to Irene Stone. He spent most of his childhood in Willimantic, where he enjoyed playing various sports and fell in love with the game of baseball. He spent his summers with his cousins Gloria and Melvin, and often visited family in The Bronx where he became a die hard Yankee fan. He inherited his love for cooking and the food business in general from his mother Irene, who owned a small diner. In his adolescence, Joel’s mother met her husband, Daniel Mannheim at the University of Connecticut. The family then moved to Williamstown, Massachusetts where he attended Mount Greylock Regional High School. There Joel lettered in both basketball and baseball, graduating with the class of 1963. Upon graduation, he enrolled in classes at Springfield College in Springfield, Massachusetts. While taking classes he worked part time for various restaurants in the area, developing his culinary skills and restaurant management. In June of 1973 Joel married Nancy Hewes in Whately, Massachusetts where they raised two children, Melissa and Joel Jr. The family relocated to Manchester, Vermont where he owned and operated his first restaurant, a pizzeria in Bennington. In 1977 he accepted a food and beverage management position with Circus World in Haines City, Florida. Two years later he advanced his career by becoming the Director of the food and beverage department at Wet N’ Wild, Orlando. His proficiency in hospitality services and expertise in food and beverage resulted in the founder of the waterpark, George Millay, utilizing him to establish the base and ground rules of a successful business model for other parks to follow. In September of 1994 he married Marykate Cantelo in Orlando, Florida where they raised their son, David. Joel was diagnosed with tongue and throat cancer in 2011, and won the hard fought battle, coming out cancer free in 2013. Despite his victory, the 48 rounds of chemotherapy and 43 rounds of radiation took a toll on his physical condition, forcing him to decide on retirement after 34 years of loyal service to the Orlando theme park community. Joel was diagnosed with the beginning stages of Parkinson’s Disease in 2014 which turned out to be his toughest battle yet. In January of 2015 the side effects of the Parkinson’s resulted in a severe fracture of the hip, from which he never fully recovered. Due to complications and medical restrictions he was not able to return home, so began his stay at Life Care Center of Altamonte Springs, Florida. As the Parkinson’s progressed, he was diagnosed with Lewy Body Dementia, which slowly worsened ultimately causing his death. For those who had the privilege to work with Joel, you understood the passion he held for his job. He worked hard, mentored many, and would never ask someone to do what he would not or had not done himself. He was the type of man that took whoever was willing to learn under his wing and taught them what it took to be successful. Joel had a heart of gold. He had a passion for helping others and was considered by many as a second father. He always had an ear to listen, a shoulder to cry on, and words of wisdom to help guide you. He accepted everyone as one of his own and his extended family spans far and wide. Joel will be missed by many, but his legacy will live on through the countless lives he touched. A visitation will take place on Saturday, November 10, 2018 at Real Life Christian Church East Orlando (2413 S Goldenrod Rd, Orlando, FL 32822) from 10:30am until 12:00pm, followed by a funeral service from 12:00pm until 2:00pm. Add your memories to the guest book of Joel Mannheim, Sr..
What a great and influential father to so many of us knuckle heads at Wet ‘N Wild back in the day. Always fun loving and kind to us all. No matter foods or ops. He was an example that I know rubbed off on me. Thanks Joel. Many blessings and God’s peace and rest. Until I see you again. My late husband Wally and I had the pleasure of knowing Joel for many years. We were part of his extended family and we had lots of “dining” experiences except when we went to Bonnie Lee’s in St. Cloud. He loved their fried chicken. I’m sure that you’ll run into Wally on the other side. It was a pleasure knowing you and my friend. In love and light. Joel and I met working together through Pepsi and wet and wild way back in the 70s. Through the years we became the best of friends. I miss you Joel. Joel was a part of our Wet n wild family and will be truly missed! He was a great man to both me and my Mother( Evelyn Cruz ). Mom loved him dearly and cherished the friendship they shared for so many years! I’m sure she welcomed him as he walked threw the gates of Heaven! They are both free of pain and will continue to always look down on all their loved ones. May he Rest in Paradise!!! few years. Missing him so much, he was a light to all he met. Joel was a great man. From the moment I met Joel jr and Melissa he treated me like one of his kids. He always gave great advice and wasn't afraid to set me straight if I was messing up. The last time I saw him was when my own father passed away. Even though I could tell he was in pain he gave me comfort in my time of need. I remember he said to me "I know you're hurting, but know that his pain is over and he's in a better place, son." Mr. Mannheim, I'm sorry that your time here on earth has ended, but I know your pain is over and you are in a better place. Our live goes out to the entire Mannheim family. We love you! You will be missed by all who you loved and touched during your lifetime. Peace brother. I am so sad to see that Joel has passed away. While at wet and wild he was visibly one of the hardest workers I have ever seen. He was always good to my OPD officers and to me. I am glad that he is free from pain and disability. Joel you were a great guy and friend. Prayers and blessings to your family.